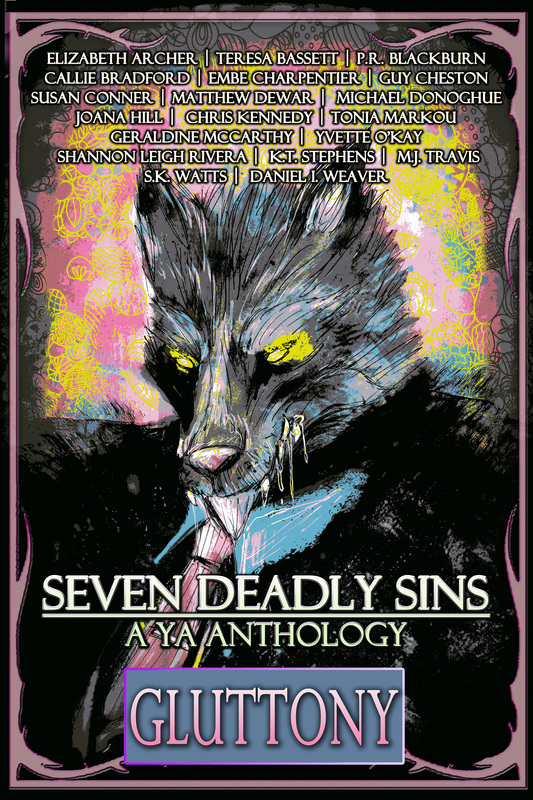 Are you ready for another volume of Seven Deadly Sins: A YA Anthology? I certainly hope so, because Volume 4 is going to be released very soon. To whet your appetite for Gluttony (see what I did there?) I’m going to introduce you to our authors and their stories over the next few days. For my followers who don’t know the story behind SDS, our authors are members of the online writing site Scribophile. And within Scrib, a contest is held twice a year for all members who join the YA Authors group. A specific ‘sin’ is chosen, deadlines and guidelines advertised, and a panel of judges choose the winners out of all the entries. Then the fun begins: editing, proofreading, biographies, blurbs, formatting, blogs—everyone gets into the process of bringing an anthology to fruition. Did you know our authors are from all over the world? As you follow my blog and read the author bios, you’ll realize we have a wide variety of cultural variances within the stories. This accounts for different word spellings as well as dialogue colloquialisms. Makes for an interesting read, doesn’t it? Here are the countries/states our authors call home: UK (4: including Cornwall and London), Australia (2: including Perth), Canada (1), Republic of Ireland (1), and USA (11: including Arizona, California, Ohio, New York, Georgia, Texas, Tennessee, Pennsylvania, Maine, Virginia). Our cover design artist is from the UK and our illustrator from Canada. Keeping a food diary can be a great tool to help you lose weight. Or can make you think you are in control when you are really losing control of everything. Soon your mirror and your scale are both telling you lies. A young girl finds trying to be a size zero may leave you with nothing at all. Elizabeth Archer lives in Texas and dreams of other places and other worlds. She writes poetry, fiction and too many novels. Her current passion is fairy tales. She has been published in a variety of places, including two volumes of Seven Deadly Sins, A YA Anthology: Pride and Sloth. Sasha’s dad has always loved his food, but since the tragic death of his wife, he’s really piled on the pounds. Then the voluptuous Rita arrives on the scene, and Sasha can only watch in horror as the pair of them wallow in gluttonous excess. As Sasha begins to doubt Rita’s motives, her fears for her dad’s health spiral out of control. Teresa Bassett is a writer from Cornwall’s clay country, UK. She has written stories and articles for various magazines and anthologies, including a story for each of the Seven Deadly Sins volumes so far. 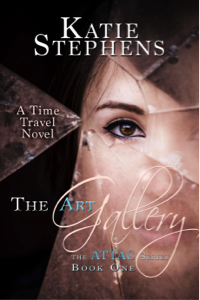 Her time travel adventure novel The Time Crystals is scheduled for publication with Books to Treasure in 2017. A graduate of the University of Bath, she has worked as a foreign tour guide, translator and teacher. Her favourite times are spent ‘up on the Downs’ with husband Mark and rescued greyhound Jinty. When a routine refugee smuggling run amid a dark and miserable civil war ignites a particularly savage pang of guilt and self-pity, Nikolas finds himself faced with the same difficult decision as always: finally risk what little he has to make his escape with his best friend Mia, or conquer his fears and stand up to oppression and greed before it’s too late for them both. P. R. Blackburn lives his life endlessly searching for that mystical creative spark that brings life to new worlds and new possibilities, be it in the form of writing, drawing, animating or coding. Currently exploring the great Australian continent, he works and lives out of his trusty van with his fiancée. Hailing from the UK, they are part-way through a spontaneous, life-changing journey across the globe. To Sarah, her part-time job at the bakery is just a way to earn some extra money for school. But to her best friend and coworker Colin, the job could be the key to unlocking his life-long dreams. When a self-absorbed boss threatens to ruin everything Colin has worked for, can Sarah help her friend bake up a miracle? Callie Bradford spent much of her youth obsessively searching spider-filled basements for hidden doors and secret passageways. Despite her lack of success, she still hasn’t given up looking. Callie lives in Cleveland, Ohio, with her husband, a cat, and a one-eyed dog. Malik can’t seem to stop self-destructing. When the court assigns him a three hundred-pound, live-in monitor named “Will Power” for twenty-one days, he decides that only mutual assistance makes sense. Let the rehab war begin. Embe Charpentier spends her time teaching English and mathematics to high school students new to the U.S. Her novel, Beloved Dead, was published by Kellan Books, and she’s been published often on the Internet. She’s proud to have been included in previous YA anthologies Sloth and Envy, since she regularly sits on the couch doing nothing and is unduly preoccupied with the successes of others. She anticipates the addition of Gluttony will encourage the binge munching of taco chips and oatmeal cookies.